Just south of the Istrian peninsula is the island of Lošinj - a tiny treasure that is big on vitality, wellness and discovering ancient greek statues. The Island of is part of the Cres-Losinj island group, the largest island group on the Croatian Adriatic. Vitality and wellness literally grows in the ground at Losinj. The gentle climate has resulted in plenty of plant types growing freely on the island - including numerous medical herbs. Walking about you will find agaves, cactus, palm trees, magnolias, mirth, pistachios, mimosa, fig, lemon, orange and even mandarin trees. A wonderful climate coupled with uncrowded beaches, natural haven for vitality and wellness, this place is where people go to rejuvenate, recharge and relax. Aromatherapy, exfoliation clinics, kinesiology and thalassotherapy, you'll find it all here. In between bathrobes and spa visits, there are also great paths for cycling, as well as great conditions for diving. The therapeutic effect of the sea and herbs, sport and recreation, mountain climbing, swimming or walking about, coupled with excellent local food makes Losinj an ideal place during all seasons of the year. An absolute must-do in Mali Losinj is a visit to the Apoxyomenos Museum. This is the home of the 2000-year-old bronze athlete-statue that was discovered on the sea bed of Losinj in 1999. But don't expect a stuffy story that goes on about cleaning bronze. Here you get to eperience the discovery of the statue and follow its trip from hidden treasure to admired art in a very modern and contemporary way. Besides wellness, Losinj is also known for its most friendly resident-neighbor: the dolphin! About 100 dolphins have made the area their permanent home, including Albus, a rare white dolphin that is monitored by folks on the island in order to keep him safe. Join one of the many tours that will take you out for a ride along these friendly creatures. Cres - we love this place. A wonderfully laid back island that you can easily acess via the short bridge that crosses from Losinj (the place is Osor). On the way along these two islands, the scenery changes dramatically, from steep shores and high peaks, to low plains and lagoons. 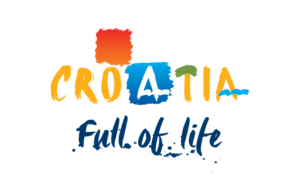 At 66 km long Cres is Croatia's largest island, with plenty of coves, lagoons and beaches to discover. Make sure you see the marina - it is said to be one of the most beautiful in the Adriatic. Cres is perfect for a day tour on a bike. For transfers from the airport to Losinj, there are several options: You can hop on a private taxi flight that will take you straight to the town of Mali Losinj from most nearby airports (Pula, Rijeka, Zadar, Zagreb, Split, Dubrovnik, Vienna, Milano, Venice). Please contact us if you need more information about this service. For anyone that is more comfortable on the ground, there are several car services that offer Pula -Losinj door-to-door services. Please contact us for more information. If you have a car we recommend you take the Jadrolinija car ferry service from either Zadar (the ferry stops at several islands), Brestove (Istria), or Valbiska (Krk) to Losinj. On the The pine-shaded Čikat Bay - one of Losinj's finest spots - you'll find the sophisticated elegance of Villa Hortensia. The 10-bedroom villa is surrounded by a beautiful garden, with a sunbathing area and an outdoor swimming pool with heated seawater. Villa Hortensia is spacious, airy and beautifully lit. Its special architectural lighting, signed by one of Croatia’s leading architects, Dean Skira, ensures the most lavish lighting ambient at any part of the day, adapted for each corner of this beautiful mansion. The spacious bedrooms ensure absolute comfort for the modern guest. They are designed as open space with a bathroom. Outside, surrounded by beautifully landscaped gardens, you can relax on the terrace and by the seawater pool or, if you prefer, stretch out by sea on the villa’s private beach. Discover the boutique luxury of Lošinj’s most elegant hotel (and nearby private villa Augusta), situated on the idyllic Čikat Bay, surrounded by pines, palm trees and crystal clear waters. Behind the restored Austro-Hungarian façade, you’ll find every luxurious comfort you’d expect from a member of the Small Luxury Hotels of the World. From the tasteful decor of the deluxe rooms and suites, to the exclusive natural bathroom amenities, the beauty of Hotel Alhambra lies in the detail. Downstairs, take your place in the stylish lounge bar for cocktails, then discover the restaurant’s extensive wine cellar and a la carte menu – showcasing the rich abundance of local ingredients and specialty dishes. Pull up a lounger and relax around the heated indoor seawater pool, or head down to the hotel’s private beach. Alternatively, relax or invigorate mind and body in the Alhambra Spa, with saunas, massages and a range of treatments inspired by the scents and aromas of the island. By the sea, in the heart of a centennial pine forest of the most intimate and beautiful Lošinj bay, Čikat, the Hotel Bellevue will take your breath away. Passing through a comprehensive renovation, the hotel of unique architecture, delivers sophisticated comfort for a luxurious, dream holidays. Affluence of carefully chosen details, exquisite service and unique concept of content secure carefree relaxation and enjoyment. Sign up for a week-long stay and enjoy biking, kayaking, hiking and snorkeling. We explore coves and sandy beaches, mountains, trails, viewpoints, caves and shipwrecks.